Many companies are falling short when it comes to using total-rewards programs as an attraction-and-retention tool for workers. 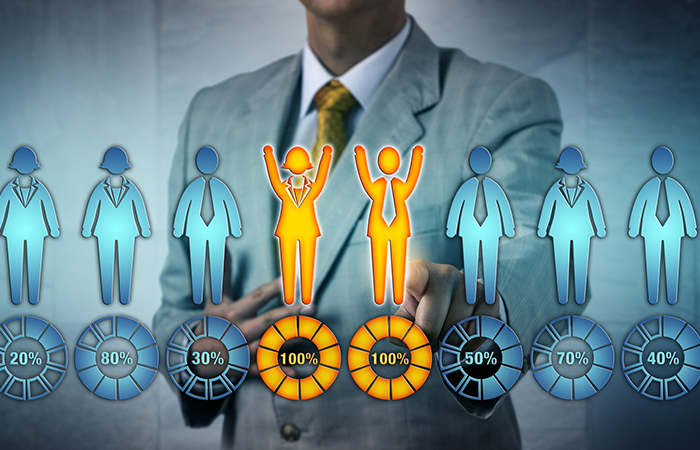 That’s according to the results from a 2017 High-Impact Rewards study conducted by Bersin by Deloitte, which revealed that 80 percent of organizations are “significantly lagging” behind their employees’ expectations for total-rewards offerings. The consulting firm surveyed 1,180 companies from around the world that represented a broad section of industries and size. Among the questions in the survey, participants were asked how likely they are to recommend working at their organization based on their rewards program. The number of respondents who would recommend his or her employer was significantly fewer than those who wouldn’t, resulting in a -15 Net Promoter Score. “What was most surprising to me was the NPS finding, which really underscored for us the extent to which rewards as a function is really struggling to keep up right now with the pace of change across the world of work,” says Pete DeBellis, associate vice president and total rewards researcher leader at Bersin. DeBellis blames the low score on several factors: the tight labor market, a multigenerational workforce with varied preferences, more employees comfortable with job-hopping and the democratization of rewards data. The study also revealed that high-performing organizations, are six times more likely to use data and analysis to understand employee preferences and 1.7 times more likely to rank the employee experience as a high priority within their organization. They’re also focused on best fit, not just best practices, and align reward strategies with specific business goals. These same organizations are 12 times more likely than low-performing companies to use rewards to differentiate themselves from competitors instead of “chasing the median and lining up with everyone else in their industry,” DeBellis says. The firm also identified the following traits that influence total-rewards maturity: aligned strategy, holistic philosophy, employee focus, effective communication, greater rewards frequency and the use of team rewards. Just as important is the need for the talent acquisition and rewards functions to collaborate with each other to arm recruiters and hiring managers with information and messaging to help build the employment brand. However, others believe that the study’s results may possibly be skewed since two-thirds of the respondents represent HR. She says HR faces “tensions” on several fronts with total-rewards programs. Since resources are finite, she says, such programs may not motivate everyone, which adds pressure to HR’s role. So does ensuring fair wages and increasing employee contributions for healthcare. Sejen believes that HR needs to expand its definition of total-rewards offering. For example, expanding flexible work schedules and career-development opportunities or reducing healthcare premiums may be perceived as rewards and more valuable than tangible gifts. Based on results from the firm’s global workforce studies over multiple years, she explains that employees want a solid understanding of how their compensation and bonuses are determined and if they’re paid fairly compared to others both inside and outside the organization. Sejen says employees who understand that are “so much more likely to be engaged”. While rewarding employees with pizza parties or casual-dress days is a common perk, employers need to offer meaningful rewards that connect employees to a measurable business initiative, adds Michael Timmes, senior HR specialist at Insperity, a national HR solutions firm. He points to offering quality time with company leaders or assigning employees to special projects that expose them to other people and parts of the organization, while others may attend conferences and then conduct a “teach back” to their team about what they learned or experienced. To be fully appreciated, Timmes says, reward programs need to be brought center stage by HR constantly communicating their value across company channels.